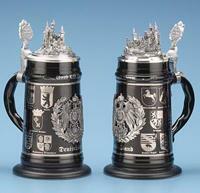 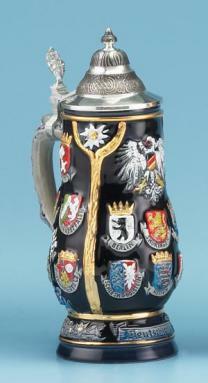 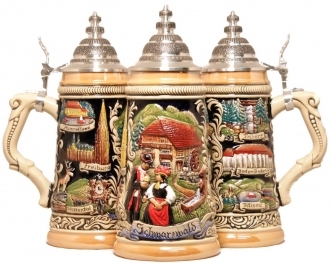 This traditional stein features a Bayern crest in the center, framed by a banner over the top that reads "Gott Mit Du Land Der Bayern" ("God be with you, land of Bavaria"). 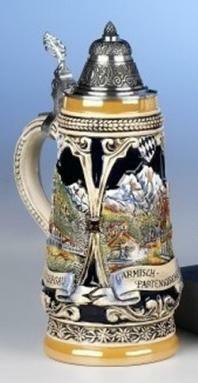 The banner on the bottom reads "Bayern." 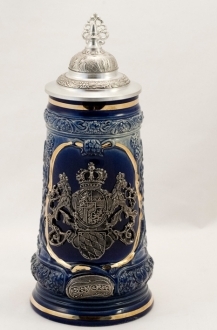 A rustic finish and ornamental pewter lid complete this handsome piece.